SUMMARY : A tale of love won and love lost, and the faith to find it again.From the banks of the Potomac to the misty moors of England, Darcy follows a path where the secrets of the past slowly rise to the surface in this dramatic saga that began in Before the Scarlet Dawn. She meets Ethan Brennan, an aspiring English horse breeder, who embraces her independent spirit and marvels at the simplicity of her faith. Ethan and Darcy fall in love, but are kept apart by a promise to another and a sworn oath to a dying woman whose long-hidden secret threatens Darcy’s and Ethan’s lives. "Romantic historical fiction that has an inspirational bent, is one way people can escape the cares of life and be transported back to a time of raw courage and ideal love," she says. "The goal of my writing is to give readers a respite from a stressful world.."
In many of her stories, she writes about the struggles endured by early colonists, with a sprinkling of both American and English history. Currently she is writing a new historical series set in the Gilded Age. "Ever since I was old enough to read, I have loved books. That is why I write inspirational historical dramas. Inside the pages of my novels you will find romance, stories about relationships, forgiveness, redemption, faith, and loyalty. Each character has good points, but they are also flawed human beings that make mistakes and fall hard, and at some point struggle through the adversity, dust themselves off and move on—reminders that God never forsakes us, especially in our most trying moments." Rita Gerlach is the best of historical fiction writers who gives us a slice of Americana and inspirational story together. 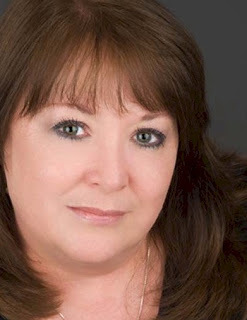 She is a wonderful author of human relationships, and she's a solid storyteller. Her books simply wrap me up from the first sentence and keep me reading far into the night. I've come to love the characters she's invented in "The Daughters of the Potomac" series, as well as their great attachment to our country in its early years. Her knowledge and application of scripture bolsters her story but never becomes intrusive in the plot and development. I can't tell you how much I look forward to reading her books! 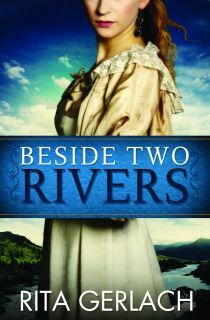 In "Beside Two Rivers" we find the daughter of the first star-crossed lovers of "Before the Scarlet Dawn" (reviewed here a year or more ago...please search!) grown up in America and wondering what happened to a father who abandoned her as a young child to his brother and family. As far as she knows, her mother is dead, and she has no way of knowing if her father is, too. Darcy is a strong willed and strong minded young woman who gains the attentions of a dashing young man from England who visits to find horse stock. They fall in love and off goes the book! This is not a sappy romance novel, rather the romance is beautifully and well-defined within the historical novel. Darcy's story helps round out the story of her parents who I came to love in the first book in this series. A story of redemption and forgiveness, this is told from the perspective of a child whose heart might have hardened in being injured and rejected, but whose faith and love caused her to rise above it. Rita Gerlach's characters are so loveable and fully developed that they linger in the heart and mind long after her books are read. I've never forgotten Eliza, the main character of "Before the Scarlet Dawn," nor had I forgotten and stopped worrying about what happened to Darcy! I can't wait to read the next book in this wonderful series....which I'm going to do right away. I'll be reviewing "Beyond the Valley" asap! These books are available in paperback or ebook. Please do yourself a favor and get the whole series. You won't want to stop after the first book. I can guarantee that much! I think you captured Rita's writing well. 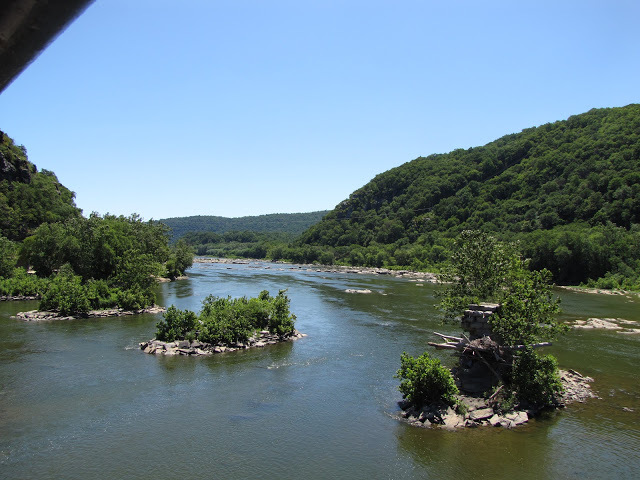 I look forward to reading the Potomac series. I like the variety of books on your list here. LOVE THE COVER, LOVE RITA AND LOVE your review, Deborah ... I'm sold!! Hi there, there is a collection of book links happening right now at Carole's Chatter. This time we are collecting links to posts about your favourite historical fiction. Here is the link Your Favourite Historical Fiction Please do pop by and link in – maybe this nice one? Have a lovely day.